I used to play Angry Birds a lot. I got this because it was an editors choice app, but I don’t think it should be one. When I go into the app it just shows a home screen with no buttons. Very disappointing. I hope the developers fix this bug soon. Rovio Entertainment Ltd, Angry Birds, Angry Birds Seasons, Angry Birds Space, Angry Birds Star Wars, and Angry Birds Star Wars 2 NEED TO COME BACK!!!!! ASAP!!! 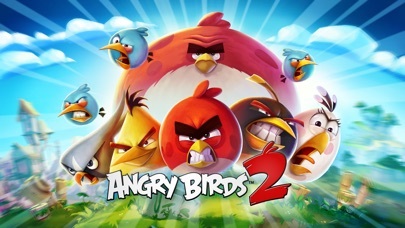 I love all angry birds games but this one is my favorite! But there one problem. This game drain a lot of battery! Maybe you can put a low power mode in the settings off the game. But otherwise this game is awesome! This game is all about the money now. Infinite ads, artificial “life” scarcity, and in-game physics so sticky it feels like the game is cheating. Just another good thing ruined by greed. It’s a good game but I can’t play 10+ levels a day and can’t buy apples for my hatchling... if you could make it where you could get apples with out having to pay money or play 24/7 that would be great..
Great game, on which I have spent many hours...MANY hours. I am finding, however, that current levels (low 1000s) seem designed to sell gems (and profit Rovio) rather than to offer interesting play. I cannot get to Boss Pig level without spending gems,. Worse, The gems I have bought disappeared. This has happened three times so far, and when I did an internet search, I found that other players have had the same experience. Thus I am at the end of my love affair with AB 2. I am disappointed that an app from the Apple App Store has such defects. App research is part of my job. This is easily a 5-star production which is expected of a giant like rovio. My issue is with the ethics of the pay wall. 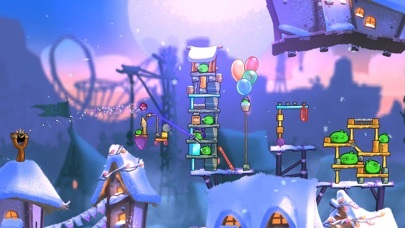 They make 50+ levels for all skill levels but then through random level generation, strategically placed “bonus cards”, and a steep increase in level difficulty through not providing enough birds, your child is urged to spend real money because there are “only x more piggies left!” If you don’t pay then the mafia pigs do an overly exaggerated chuckle in the dimly lit background, taunting the player; personally I think it’s hilarious, but I would caution any parent that this game could easily end up costing them 20-50 bucks. Clan wars are broken. Cheaters everywhere. We recently just lost a high level battle to cheaters. How do I know? They were banned by rovio after the battle. During our collection period, we were never given the rewards for actually winning. Rovio told us it was basically tough luck. Now, there are people in our clan who spend actual money to play. This is the equivalent of theft. Rovio is clearly banning cheaters, but once they do, they need to make it right for those who were wronged, instead of telling us that we don’t matter. 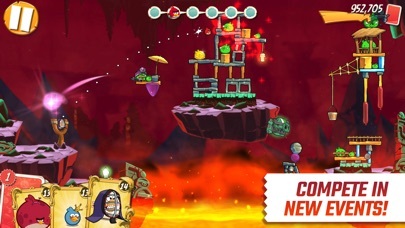 Angry Birds is one of the best in the game, but rovio does not support some of its games and it has been removed from the store, which is unfortunate. 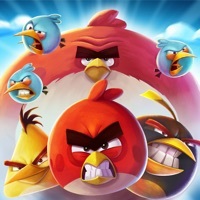 Games like Angry Birds - Bad Pigs Angry Stella - Angry Birds Star Wars 1 and 2 - Angry Birds Epic - Angry Birds Space - Angry Birds Rio and ... .I am requesting rovio to bring these games back to the store. Updated 4/2018 In the past year alone there have been many changes that I love hatchlings included. The issue is AB is a cesspool for CHEATERS! It is one thing to have cheaters in top of eagles but constantly having to battle them in arenas and Clan Battles, is out of control. My clan has spent lots of real cash on this game and we won the last battle but a cheater pops in takes first then before Rovio bots could fix these cheaters stared collecting and leaving the clan making it hard to track for the bots that we honestly won. If no real cash or lots of time went into this, maybe it would not be a big deal. Rovio DOES NOT GIVE A WHO HA like they used to. They just say you will be banned if you break the rules hahaa They also say this game is for kids but all the booze and gambling ads I WOULD DISAGREE. Feb/2018 When you spend your time and money, it is very frustrating. To have the game CRASH and it does a lot, then they tell you it is your fault because your RAM needs to be cleared or you don’t have enough GB. ALL of the treasure boxes are NOT WORTH the effort. I do like the game and have been mostly happy with AB2 then any other spin off from original AB, it will cost you money. During the opening of the game, it pops up downloading 1/7mb and won’t go any further. Tried restarting but with same results. Guess I’ll have to reinstall which means I’ll lose all my progress. Not good. Please fix this issue. This game is awesome I am addicted to it but there are to many glitches. On piggy mail they said they fixed the glitches but NO!! I am in a clan, and there is a clan chat and sometimes when it is not profanity it says it is!! Other times when I try to send something and I press done on my button it doesn’t even pop up on clan chat!! In the arena I was doing a arena match and those objects blocking the buildings one above it suctioned the pig and a little rock to it, when I tried to aim it at the pig it would just bump on the wooden thing hanging from the sky and will never bump the pig. That happened to me today. I know this is not a part of the topic but the things we buy with the gems we earn cost way to much like the rare chest and legendary chest.To buy the clan chest just use gems to pay for it. The hats take way to long to get especially the legendary hats, they cost 25,000 black pearls. In the arena in legendary league if bottom 12 you move down shorten it to bottom 10. Some people might be busy they can’t handle it. Other than that it is awesome!! 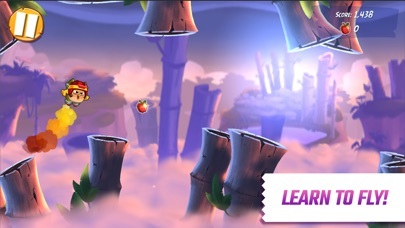 If you are into Angry Birds, this game has the best gameplay of all the titles, because of the physics of the birds’ moves and their impact on structures. Day-to-day gameplay is really fun and entertaining, with daily tasks and long term feats with great rewards for completion. However, if you are competitive and honest and try to obtain high scores, THAT is where the trouble starts. There are too many cheating players with ROMs that allow them to obtain unlimited resources (among other dirty tricks), and unless you want to pay for those resources, you will never see the top of any leaderboard. To top it off, Support will only remediate this issue if you report potential cheaters in clan battles and daily competitions, and they only take action if their investigation finds the player is using a ROM. For the daily competition, the UI only displays the top 100 players, so you can only report those players, no others. Even if a cheater gets banned, the player can easily create a new account and the cycle begins anew. One bug that desperately needs fixing is the fact that when a player is banned or leaves a clan during competitions, the points that player achieved disappear, but if they take the same action after the competition, their points still count. This encourages a lot of bad behavior at the end of competitions. I’m guessing that cheaters help the bottom line by forcing honest players to pay to compete, so the company has no motivation to resolve the issue. To sum up, this is a fun game to play on an individual basis, but you should not expect to compete fairly without putting in some cash. It’s strange how so many people complain about the in-app purchases. Do they think that these programs create themselves? Maybe the app developers should simply charge 50 bucks up front, let’s see how many people complain then. 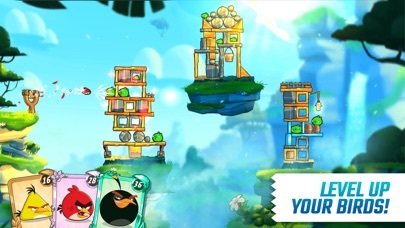 So, I love every single bit of the game, but there’s apps like angry birds Star Wars, and like angry birds go, etc. and I’d really like to purchase Angry Birds Star Wars (the 1st one) and it’s not on iPad mini 2! I’d also like to purchase the other games but I can’t, please Rovio, I extremely want the other angry birds games please rovio! I like this game and I play daily, but my two big issues are: 1) it’s nearly impossible to upgrade your hatching to 25 apples a day. Give us more apples! The flying game isn’t good enough! 2) the elevator game is worthless. I almost ALWAYS get pigs on my first two tries (I never do more than 2). Worthless! I’ve only made it to Floor 30 like once in a year! Suddenly "watch a video to get a bird" has stopped working. When all I need to conquer a challenge is one more turn, this makes the more difficult levels extremely frustrating to play. Now that everything runs smoothly, I have to thank the developers for a consistently fun, and exciting game with wonderfully varied challenges. I love being able to choose which one to tackle since then the game-playing experience is never dull. The one thing I wish were slightly different is the match-ups for arena battles. Competing against someone with similar skill is very satisfying. Being up against a player with way more skill is dispiriting. Spending gems to change opponents often results in revealing an even more skilled player, so that's not a solution. All in all, however, this is a terrific game. Update: several times in the past few months I have logged on to find many, and today ALL of my gems missing. This is extremely frustrating since I spend lots of time trying to earn gems to then use in the game. Please fix this glitch! It’s funny how the game always glitches when everything is on the line. It’s ALMOST LIKE it’s designed to drive you to spend money on it. I get that advertisements bring money in, but this game is more advertisement and less game, to the point that it is unbearably obnoxious. As a matter of principal, Angry Birds will never get a penny from me. It was fine before the update and you added the two stupid buttons on the bottom right. Now every time I tap to make a bird do its talent I hit those two stupid buttons instead. Move them somewhere else! Please bring back the old games. I loved epic and Star Wars and rio. Please bring back the old games. By the way when you get to a certain level it’s basically a pay to win. Every time I have an extra turn to win or get extra turn the ads shut the game. Really upsetting. 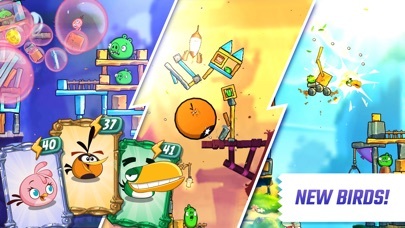 The original angry birds is gone,what happened? A crazy , funny game where u select party hats for your birds. I miss the classic version. There's too much other BS on the screen. Takes too many clicks and interruptions to get to the next level. The old one, you beat a level, click next, you go to the next level. Such a same how flashy and reward-heavy games have to be now to keep stupid people giving them more money. Too many unnecessary cash grabs disguised as mini "games", like the spinning wheel and the elevator. Ugh. Bring back the classic version please. In my original review, I criticized a lot of this game’s mechanics, including the lives system, limited birds/card system, the inclusion of Gems, and other things. And while I still don’t appreciate certain changes, I reviewed this when I was a salty middle schooler who was literally addicted to this game. While I think the lives system is an unnecessary addition, I think it makes sense. It is a free to play game after all, and Angry Birds is a game best played in short bursts. When you’re busy doing other things, those five lives will refill before you know it. Plus, this ties into the title of this review. Patience. As long as you’re super careful about where to fling your birds, you should never have to double dip. Also, if a pig or tower looks like it’s rolling or collapsing, let it fall, don’t waste a bird on it. I also like how they’ve been adding more birds since the release. Hal, Bubbles, and Stella are now in the game, so that’s neat.